I've been dabbling in making key fobs lately. I love using some of my excess jelly roll strips and or honey bun strips to make them. I like my key fobs floppy and soft instead of the stiff ones. I've experimented without stabilizer and with stabilizer and I think I have it narrowed down to a light stabilizer. Here however is my new favorite tool that have made key fobs easier for me. It helps me not have the dent marks when I use regular pliers. 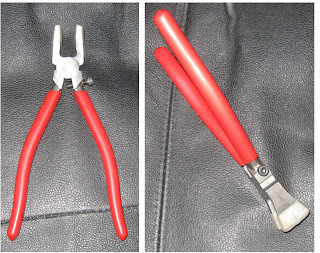 I found them on eBay and you just search for "key fob pliers" on either Google or eBay and you'll find them. They have a great rubber coated flat tip area to close your key fob clamps without adding the pressure divots. I hope to add a tutorial in the future of how I make my keyfobs. Stay tuned. Thanks for posting. 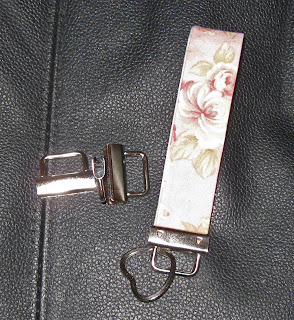 I've been making key fobs for a few years (with regular pliers). 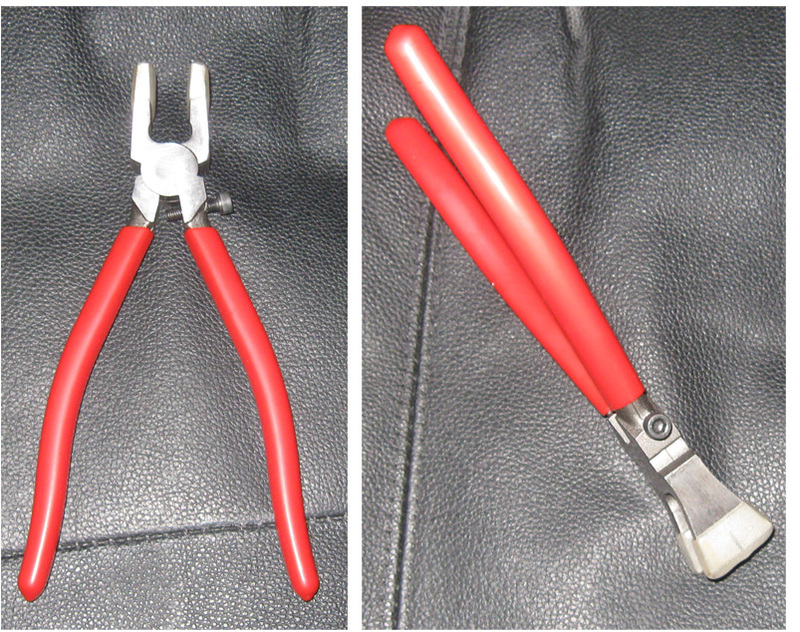 These special pliers appear to be much easier! Where did you get those heart-shaped key rings that is attached to the key fob in the picture?! I've been looking EVERYWHERE.